During the Sanremo period, many articles were published on Piero, Ignazio and Gianluca. Among the many, this one in particular has aroused my curiosity and I hope yours too. to casual and trendy clothing that showed off at the Premios Juventud awards ceremony, held at the Watsco Center in Miami in July 2018, always paying maximum attention to their appearance. In 2015, on the stage of the Ariston IL VOLO triumphs with the song “Grande Amore” but also with the best of Emporio Armani’s Made in Italy. In the same period on his profile, Gianluca tagged himself in Via Manzoni 31. The address corresponds to the Milanese workshop of Giorgio Armani and the location is just a dressing room. Basic t-shirts and trousers with darts and sports pockets scream the style of King George. And for the second photo another Armani classic: gray. Leather jacket with slightly rock tones, trousers with tubular leg and British style lace-ups. Gianluca is not new to these clothes: on the stage of the Ariston, in fact, the three boys showed off a look by Emporio Armani. Their image has been studied ad hoc according to a game of contrasts: the lyric tradition that wears leather jackets. No jacket, tie or bow tie (reserved for the final): the classic takes on the look again, especially if the protagonists in these scenes are little more than twenty years old. Relations with Armani have always been very friendly. Armani has always been a good choice for them. Also for the 2015 Eurovision, IL VOLO chooses ARMANI. Even for the first night of Notte Magica in Florence, IL VOLO chooses Armani. The 2017 NOTTE MAGICA tour is about to begin, the boys visit the Lardini tailoring, here with Brenna Lardini. During the Notte Magica tour, they will always wear Lardini suits, marked with a flower-shaped brooch, placed on the lapel of the jacket. But we arrive at Sanremo 2019. IL VOLO, on the red carpet of the Ariston, parades with clothes designed by Manuel Ritz: the brand has joined the three young tenors for the return of the Ariston to the stage and their 10-year career. For the occasion, they wore tuxedos from the Evening line and jackets from the main collection. We arrive at the three evenings of Sanremo 2019. 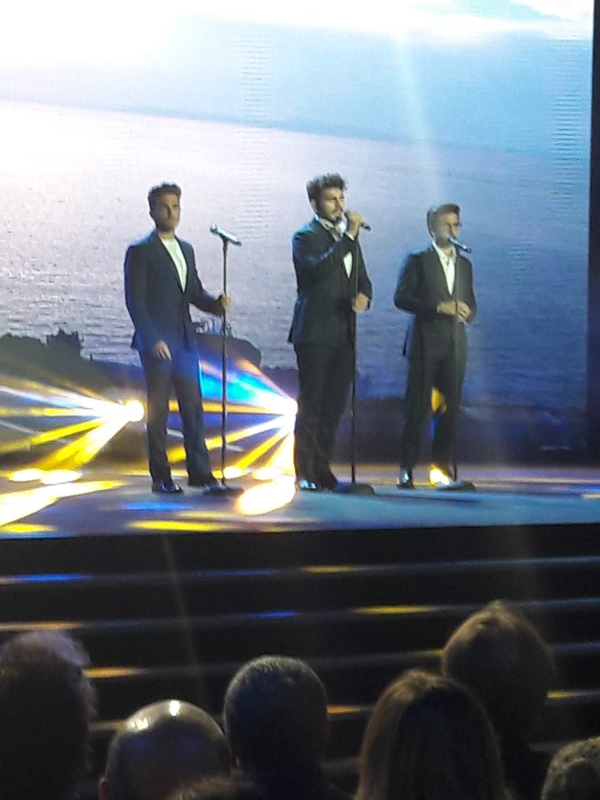 Very elegant as always the singers of the trio IL VOLO, with pinstriped suits and Emporio Armani tuxedos. 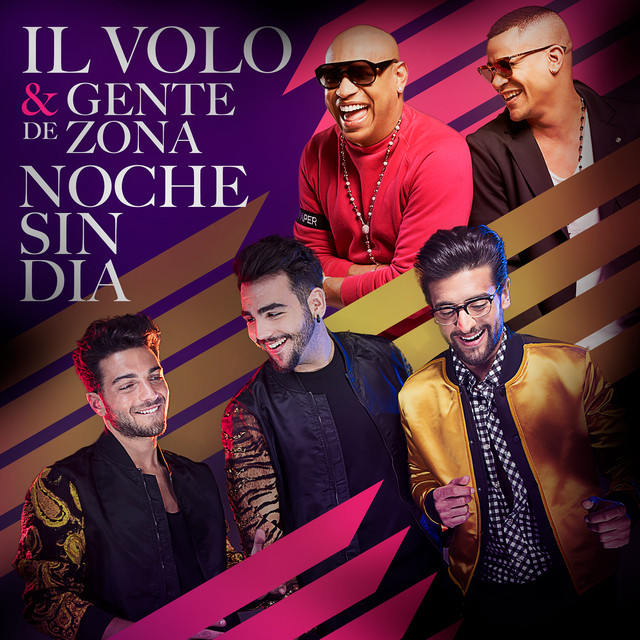 The look of IL VOLO, of the second evening, convinces less. Those baggy pants, too baggy. I loved the velvet jackets by Lardini, but my opinion is that when they wear Armani, they are simply unbeatable, especially in this outfit. Who doesn’t like them to dress like that? And what do you prefer? Armani or Lardini? Credit to owners of all photos.